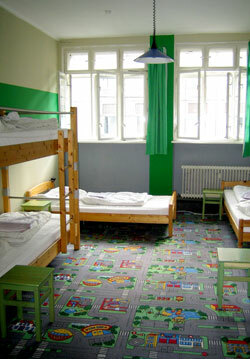 The newest hostel in Krakow. Few words about the location: marvellous, stunning, astonishing !! Not only is close from here to the Wawel Castle (3mins walk), but also it is close to the Jewish District - Kazimierz (just cross the street ;-) Feel yourself free to enjoy your stay at the newest hostel in Krakow !! Weclome to Premium Hostel. We would like to inform you that In the City of Kraków was launched the first object, which the following 5 words describe in 100%: HOTEL QUALITY FOR HOSTEL PRICE' No doubts! We offer you hotel quality and hostel atmosphere for hostel price! We are the olny one in Krakow who offers that. There is no need to mention how our rooms look like! They are well furnished, bright and brand new. But also you will find: SAT TV and internet access in every room. And... what you may be interested in: doubles, triples, quads and dorms available. Prices from 45 zl pppn (~11E) Every room has ensuite facilities. Forget the ugly and shared stuff you've seen everywhere! Here they are shiny, well-equiped and of course just for you. Check our web site. Feel free to take a virtual tour round the hostel.